In the summer of 1797, an earnest young French priest named Jean-Louis Lefebvre de Cheverus arrived in Boston, eager to serve the American Catholic church any way he could. He wrote to Bishop John Carroll of Baltimore, at that time the country's sole diocese, requesting to be sent where he "was most needed, without making yourself anxious about the means of my support. I am willing to work with my hands, if need be." The image featured in our project logo is taken from a stained-glass window in Boston’s Cathedral of the Holy Cross, which was completed in 1875. St. Brigid of Ireland (or St. Brigid of Kildare) held particular meaning for the Catholics of Boston in the 19th century as such a large number of them were of Irish descent and placed great value on maintaining a strong connection to their heritage. In addition to being regarded as the Patroness of Ireland, St. Brigid (b. 451 or 452, d. 1 Feb. 525) is considered a patroness of students and is said to have helped begin the monastic movement in Ireland. Her abbey at Kildare (or Cill Dara, meaning church of the oak) became a major center of religion and learning, and it developed into a cathedral city. St. Brigid is sometimes pictured with a book, which probably refers to the Rule she authored for her religious order. It is also evocative of her association with learning and the illuminated manuscripts which were produced at Kildare, including the now-lost Book of Kildare. St. Brigid is often pictured with a candle as she is associated with light or flame. There are various explanations for this. It may simply refer to enlightenment and learning, with which she is so strongly connected. The “Saint Brigid Hearth Keeper Prayer” asks her to “kindle us” and help her followers to “keep it bright, preserve the flame.” Some say “her birth and consecration as a nun were attended by miraculous manifestations of fire.” In Irish mythology, Brigid was the name of the goddess of fire. Carroll was only too happy to give Cheverus a mission: minister to the people, unite the scattered faithful and help the church in Boston take root. Though just 28, Cheverus had already demonstrated deep conviction to his religion at great personal sacrifice. Amid the bloody turmoil of the French Revolution, he refused to pledge his loyalty to the government. This resistance cost him his parish and endangered his life, and he fled to London in disguise. While in England, Cheverus received a letter from his former professor Francis Matignon, now a Boston pastor, who described the town's desperate need for Catholic benevolence. If only you were here, lamented Matignon, you could do so much good work. Jean-Louis Anne Madelain Lefebvre de Cheverus, as Bishop Cheverus. Painting by Gilbert Stuart, 1823. Museum of Fine Arts, Boston. Boston would present a new set of obstacles for Cheverus. Practicing Catholicism had only been legal in Massachusetts for 17 years, and many members of the majority-Protestant population were deeply suspicious of their "Popish" neighbors. 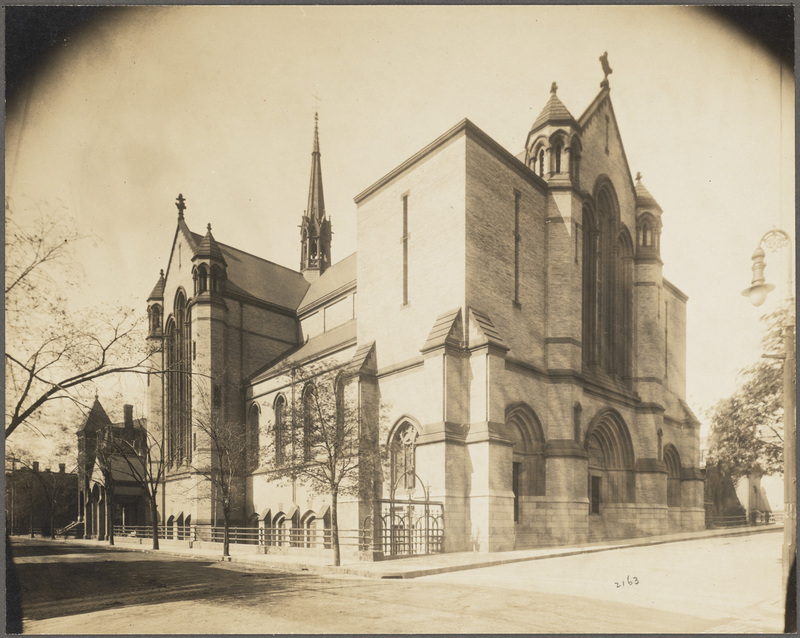 It would be another year before the construction of the first Holy Cross Church (later designated as Boston's cathedral), and another nine before the Archdiocese of Boston would establish itself there. The immigration boom which would see French-Canadians, Germans, Lithuanians, Italians, the Irish, and many other ethnic groups pour into New England was still nearly half a century away. As Matignon had informed Cheverus, priests were sorely needed to minister to their communities and perform the seven holy rites, called sacraments, that mark the passages of a Catholic's life, from baptism after birth to the annointing of the sick during illness or before death. 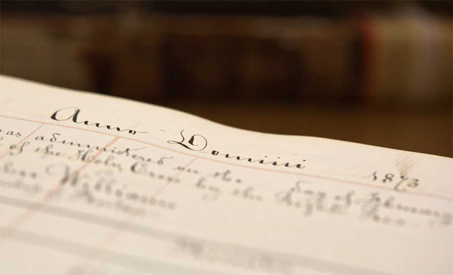 Deeply literate and observant, Cheverus and his fellow priests kept meticulous records of the sacraments they administered to Boston's Catholics during the church's earliest presence in the rapidly developing region. The word is derived from the Greek baptizein, which means to “plunge” or “immerse.” The individual being baptized is immersed in water, or has water poured over his/her head, which symbolizes Christ’s burial, and the emergence from the water his resurrection. By this, the individual is invoked with the Holy Trinity, freed from sin, reborn as one of God’s children, and incorporated into the church, with the expectation that they will lead a life in keeping with the teaching of the gospel. When an individual is confirmed a character is imprinted, and he/she is enriched by the gift of the Holy Spirit and bound more closely to the Church. Confirmation strengthens the baptized and obliges them to more firmly be witnesses of Christ by word and deed, and to spread and defend the faith. During the ceremony, each candidate renews his/her baptismal promises and profession of faith. Each is then anointed with perfumed oil (Chrism) just as Christ was “anointed with the Holy Spirit.” A bishop is required to consecrate the sacrament, unless a priest has been given the authority. The bread and wine is also meant to signify fruit of the “work of human hands,” and above all “fruit of the earth” and “of the vine” – gifts of the Creator. Those who confess their sins to a legitimate minister, are sorry for them, and intend to reform themselves, are pardoned by God and, at the same time, reconciled with the Church which they have wounded by sinning. Each individual is required to admit the sins he/she has committed since baptism or last confession; those who have received Confirmation are required to do so at least once per year. Also known as Last Rites, this sacrament is administered to those who are dangerously ill, entrusting them to the Lord who will relieve their suffering and save them. To do so, a priest will anoint the individual with oil consecrated by a bishop and pray for them to receive God’s grace. The sacrament is conferred when a baptized man and a baptized woman willingly give their consent to “give and accept each other through an irrevocable covenant.” In doing so, the couple agree to a whole life together, and also accept responsibility to care for the education of their offspring. Its essential properties are unity and indissolubility, which in Christian marriage obtain a special firmness by reason of the sacrament. “Holy Orders is the sacrament through which the mission entrusted by Christ to his apostles continues to be exercised in the Church…it includes three degrees: episcopate (bishop), presbyterate (priest), and diaconate (deacon).” Those receiving holy orders are responsible for nourishing the people of God by fulfilling the functions of teaching, sanctifying, and governing. Only a baptized male who has been confirmed and is at least 25 years of age can receive the sacrament of Holy Orders. One generally undergoes a significant amount of preparation, spiritually and otherwise. This sacrament is usually administered by a bishop at his Cathedral. 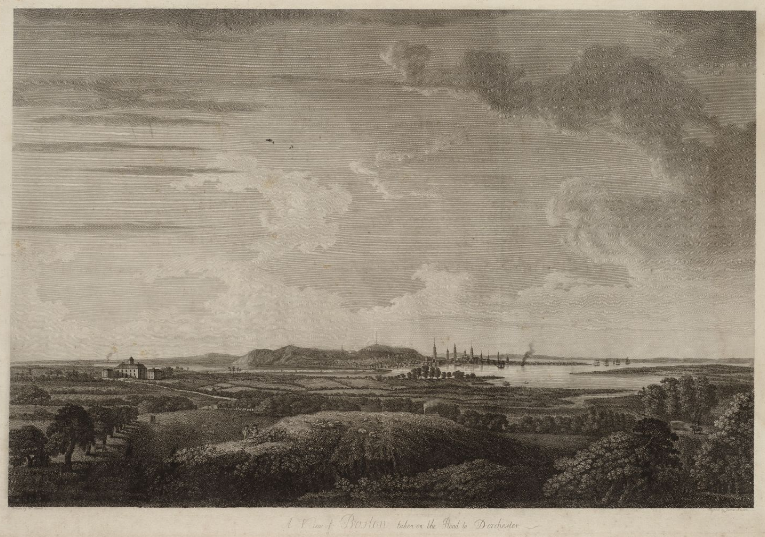 This image is from Holy Cross (Boston) Various 1810-1823. It contains funeral records from 1810 recorded by Jean-Louis Lefebvre de Cheverus and Francis A. Matignon, two important figures in the early Boston Church. 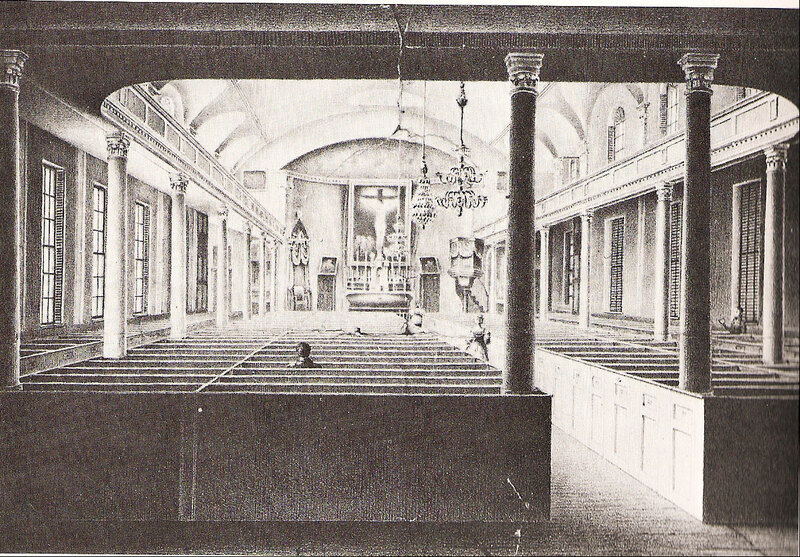 This image from Holy Cross (Boston) Various 1810-1823 records the sacrament of Holy Orders as performed at the Holy Cross parish from 1815-1819. Like many of the sacramental records, it is written in Latin. In each of these cases, the sacrament was administered by Jean-Louis Lefebvre de Cheverus, Bishop of Boston. 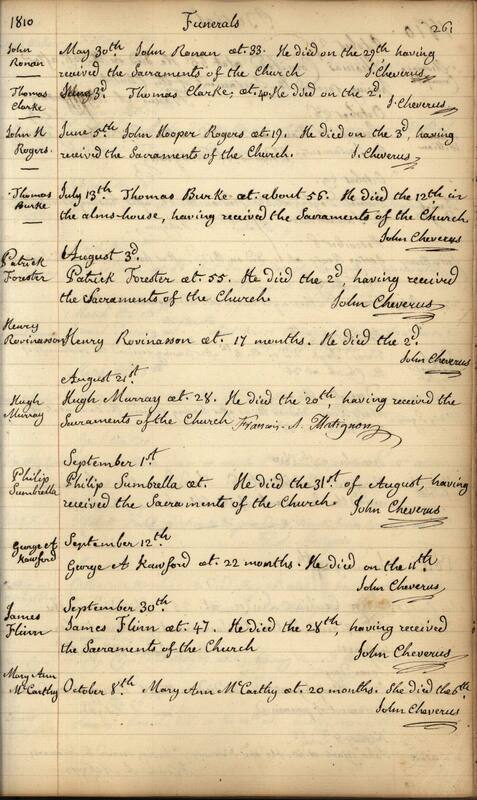 Here are baptisms from Holy Trinity (Boston) Baptisms 1836-1853. They are written in a German Gothic script. 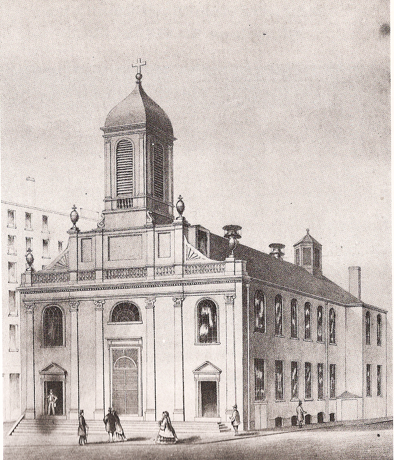 While the Holy Trinity Church was not built until 1844, German Catholics organized to worship as early as 1836 as these records show. Baptism records typically contain name, parents’ names, witnesses’ names, and often a birth date. This image shows confirmations from Immaculate Conception (Boston) 1860-1900. 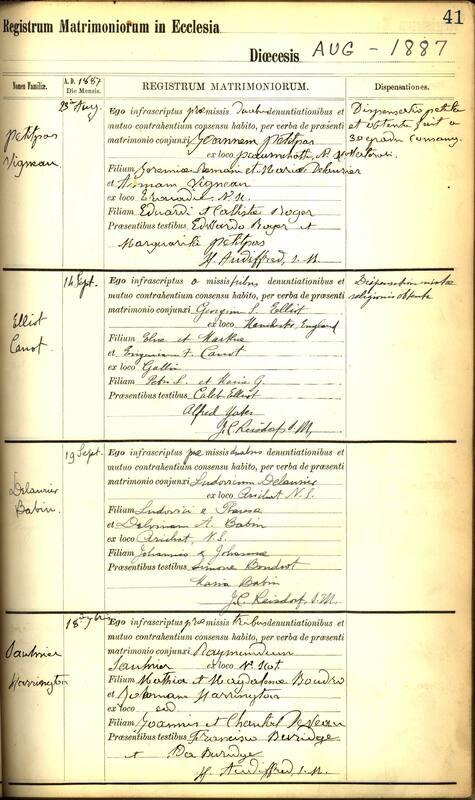 Confirmation records often show much less information than other records, containing just the name of the confirmand and the date of the ceremony. This Latin form is very typical of many of the record books. Here, marriages from Our Lady of Victories (Boston) 1884-1899 are recorded. 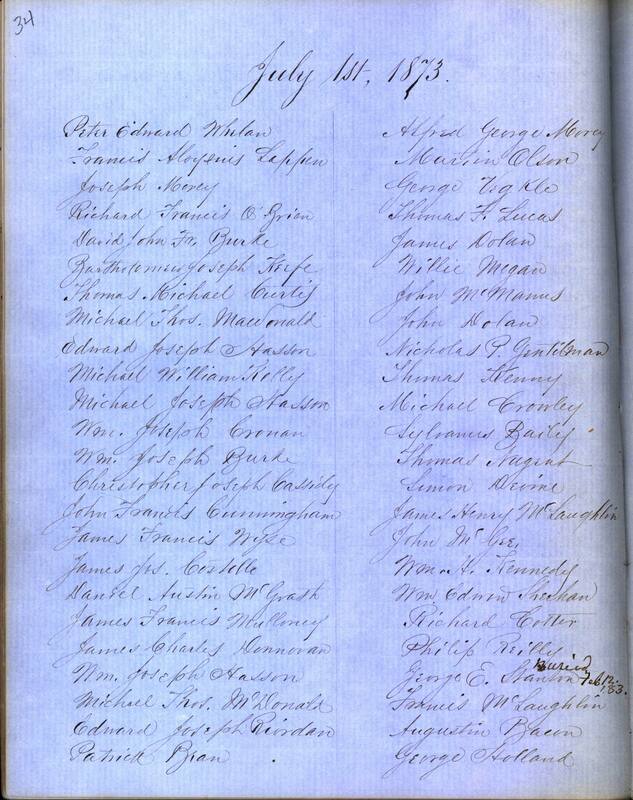 This form captures the names of the groom and bride, their parents, and the witnesses to the marriage, as well as the date and the place from which they each come. R.D. Woodley was a missionary priest serving the Catholics of Rhode Island. 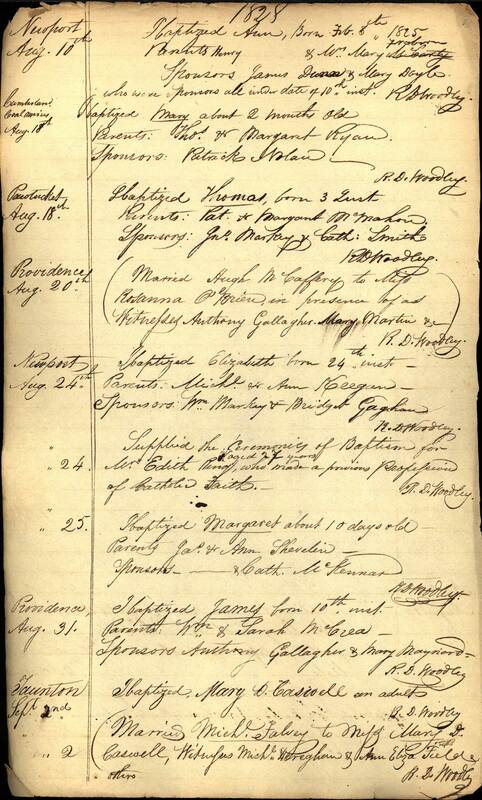 This page is from Providence, RI 1828-1830 (Mission) and contains records of baptisms and marriages. Marriages are denoted by parentheses. Today, these detailed documents are a critical resource for researchers, historians, and genealogists, especially when secular records are spotty or lost. They record important moments in the lives of the individuals, families, and communities who transformed the Catholic Church from a minor presence in the Protestant town to the defining religion of a major American city. The story of how Massachusetts's early Catholic Church flourished illustrates how America grew, as new groups arrived and clashed with earlier settlers, disparate communities found common ground, and ancient traditions were absorbed and transformed into new cultures. 937 bound volumes. 400,000 hand-written pages. 10 million names. 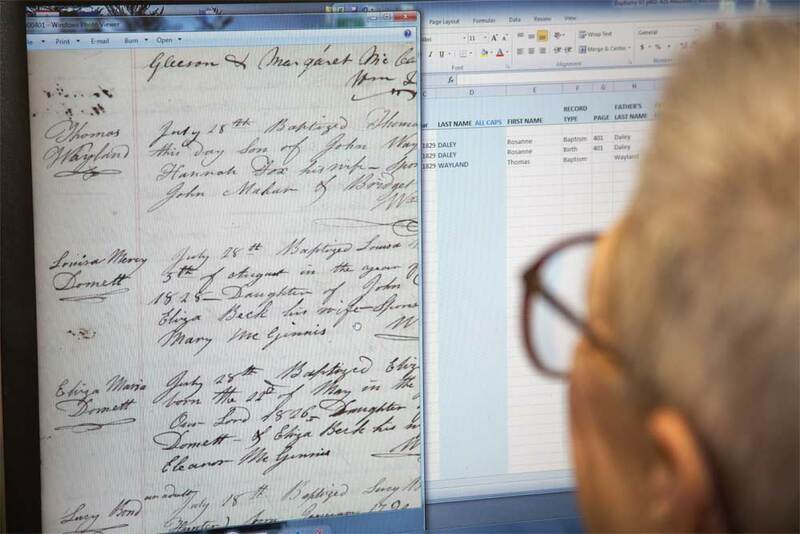 How does NEHGS turn all that paper-based information into a searchable online database? 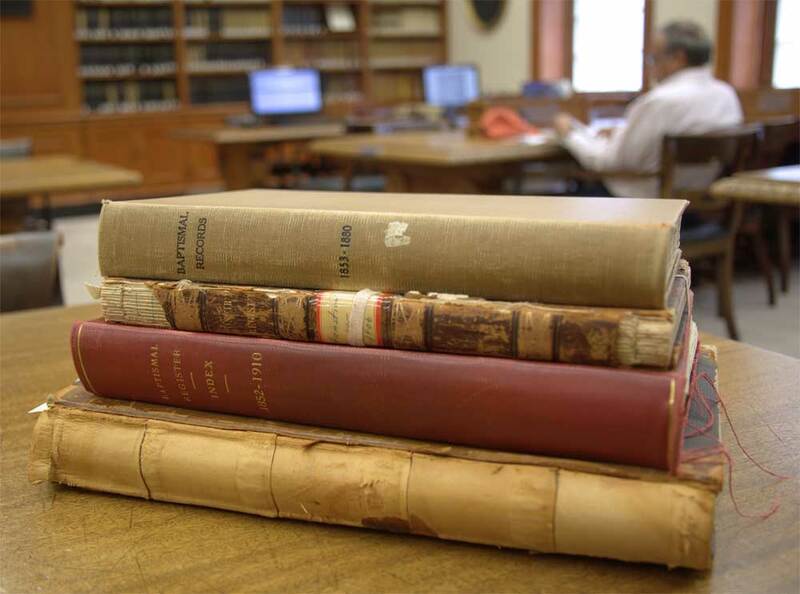 We work closely with the Archdiocese and our own scholars to conserve any damaged volumes, evaluate records, decipher obscure entries, and carefully guide our transcriptionists so their work is as accurate as possible. 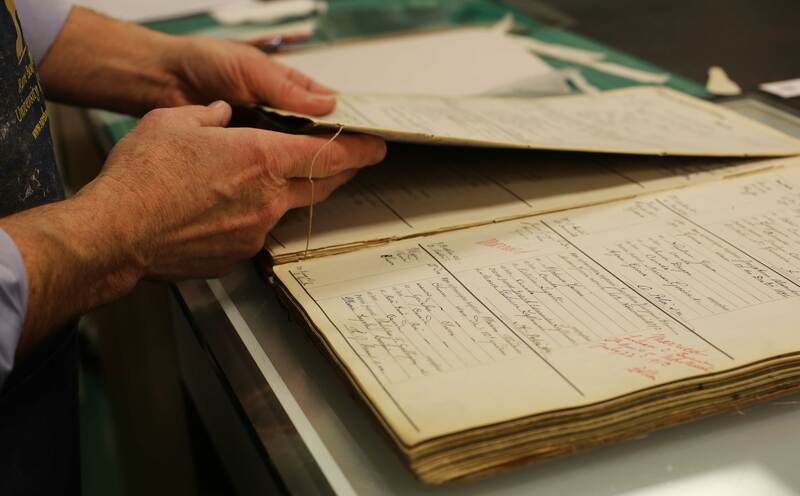 This painstaking process ensures faithful transcriptions—a critical factor for family historians and researchers. 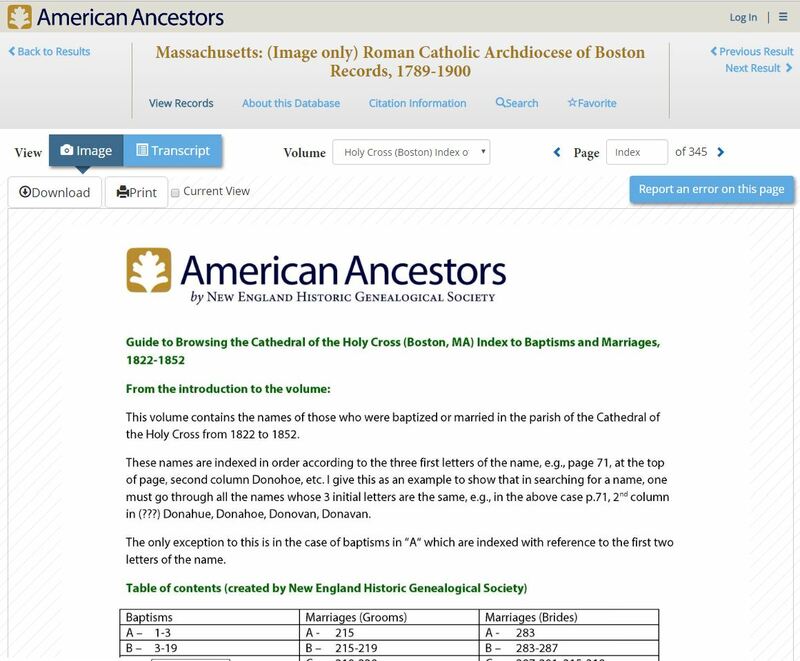 View the slideshow for a close-up look at how NEHGS is working to create an online database from the parish volumes. 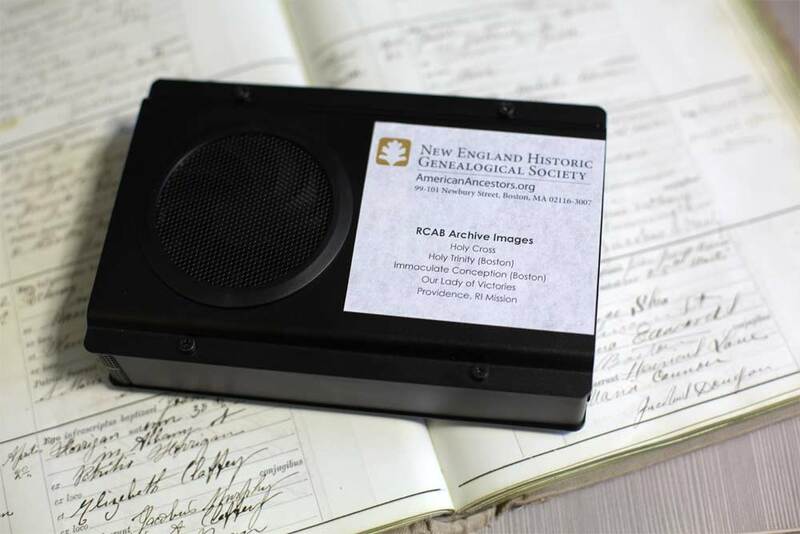 This project is a work in progress, Discover how to browse available records for free, or search for your ancestors in our fully-indexed database available to NEHGS members. 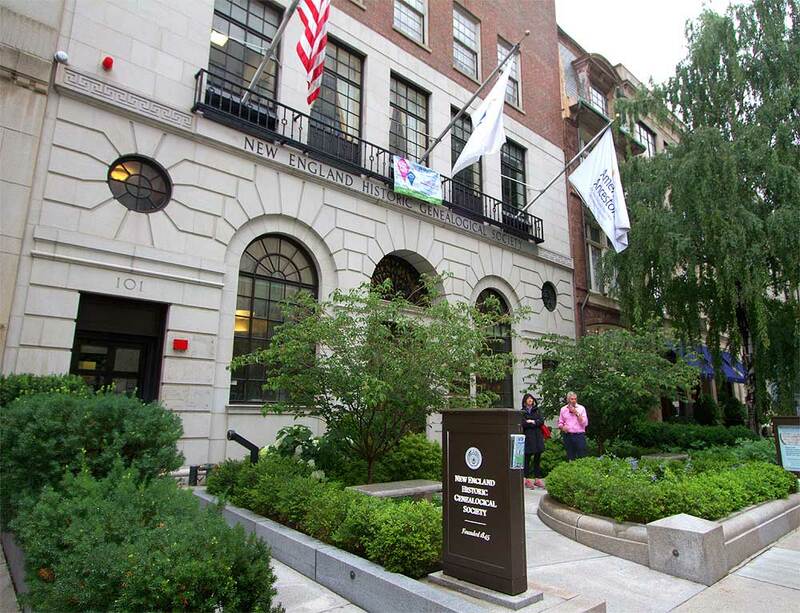 The Archdiocese of Boston delivers the volumes of parish records from their archives to NEHGS offices, where NEHGS staff and volunteers are scanning and indexing volumes of parish records from 1789 to 1900. Many of the volumes are crumbling with age and require special handling as they are scanned. 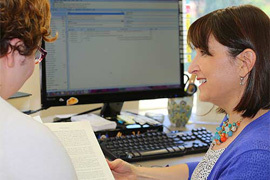 Our experts examine the volumes to determine whether they’re in condition to be scanned or if there are any quirks that need to be accounted for such as inserted pages, mis-numbered pages, or pages with no numbers at all. 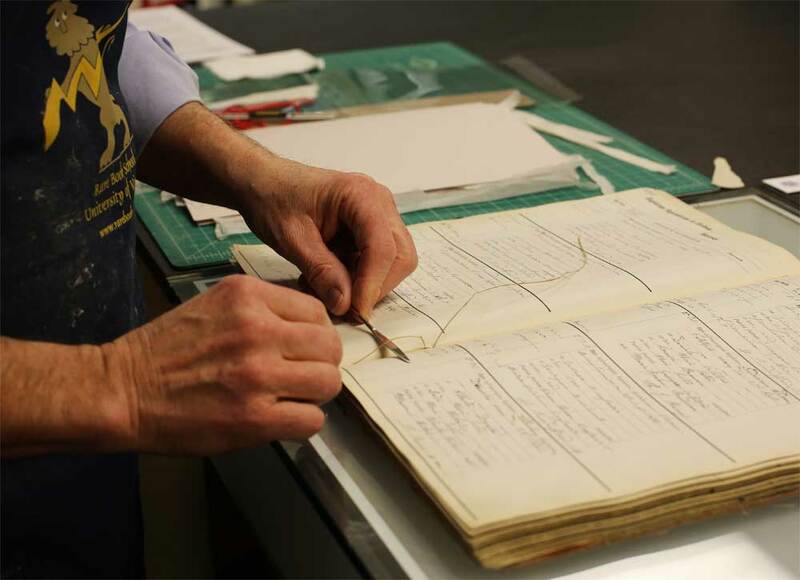 If the volumes require treatment in order to be scanned safely, NEHGS conservators work on them in our conservation lab. 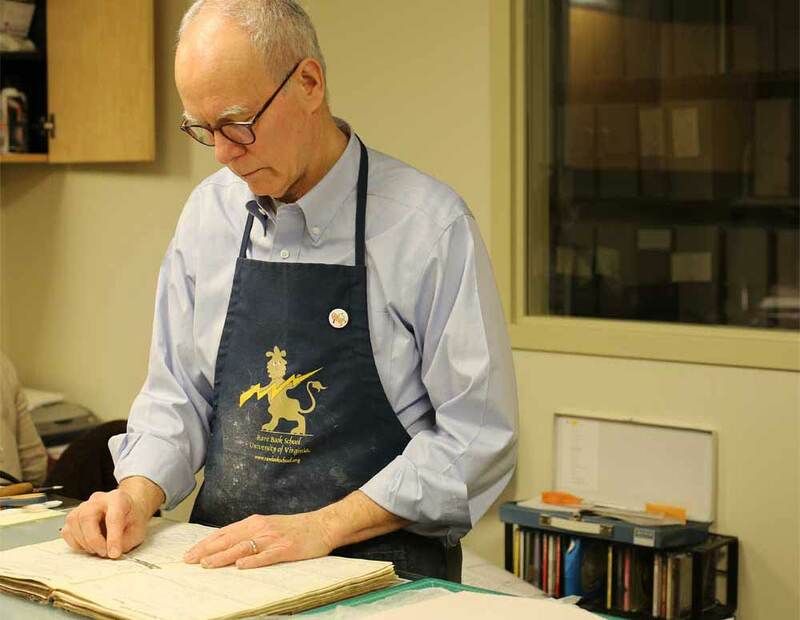 Volunteer and professional book conservator Stuart Walker removes the thread from a binding, freeing the leaves of the volume. In some cases, the leaves are treated to remove glue and repair tears. 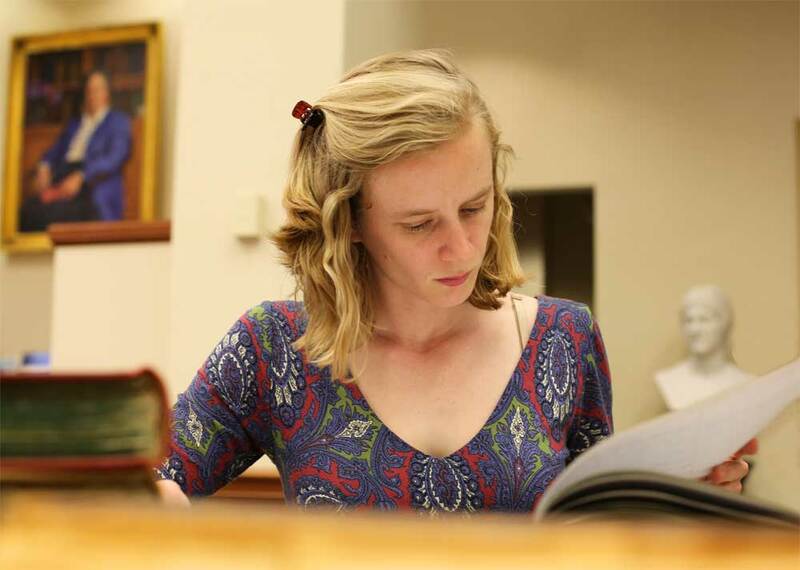 The database team trains our volunteer family historians in the gentle art of scanning delicate books. 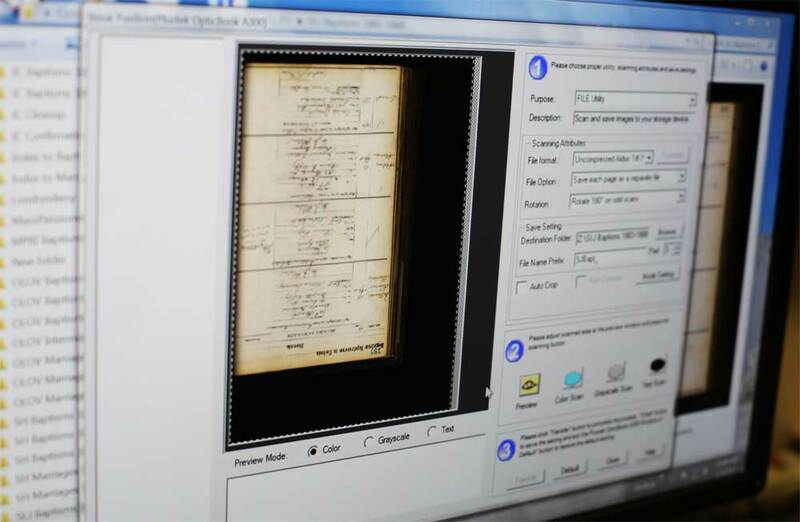 After each volume is scanned, our staff uses software to straighten and crop the archival-quality images. 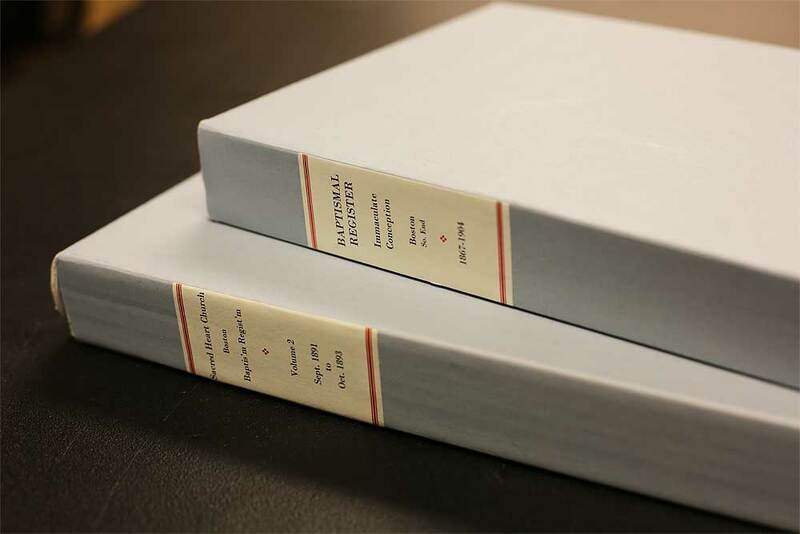 Once scanned, the leaves of any disassembled books are carefully placed in a custom-made, labeled, acid-free box and returned to the Archdiocese along with any other scanned volumes which did not need special treatment. Once the images have been straightened and cropped, they are copied onto an external hard drive to be given to the Archdiocese and stored in their archives. Images are uploaded to our website, and our members can begin browsing parish data. Pages named “Index” at the beginning of each volume provide instructions for the best way to locate records in each volume. 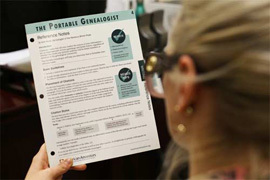 Volunteers carefully read each record and transcribe first name, last name, parents’ and witnesses’ names, full date, record type, and location into a spreadsheet which is used to create the searchable database. We’re creating a fully searchable database available to NEHGS members. Type any name into the search fields to begin your search. Be sure to check out the Search Tips! While the Massachusetts Bay Colony was famously established by English Protestants, there is evidence of Catholic influence in the New England area as early as the 17th century. Starting in 1603, French colonists established settlements at the St. Croix River and explored as far south as Cape Cod. 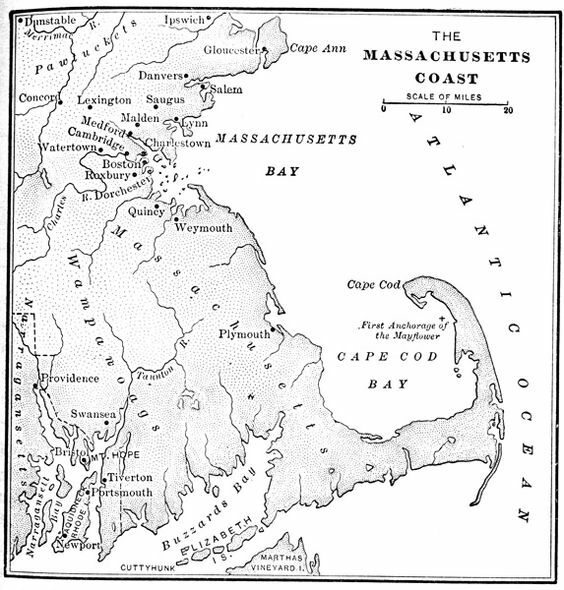 A map of early Massachusetts Bay and Cape Cod Bay areas. Ultimately, the majority of French immigrants settled further north in Canada, but these early ties to New England would set the stage for future relationships in the Catholic community. The Irish also had a small early presence in New England, long before the first major wave of Irish immigration, thanks to trans-Atlantic maritime trade. During the 17th and 18th centuries, while there was little direct trade between Ireland and New England, ports in both places served as centers of trade and convenient stops for ships bound elsewhere. No major Irish settlements appeared in New England at this time, but Irish Catholic sailors found themselves scattered up and down the coast. In addition, many Irish emmigrated to America after the unsuccessful Irish Rebellion of 1798, fearing reprisal or punishment by the British government. It was not easy being Catholic in the Massachusetts Bay Colony. The Puritans came to reside in Boston, Salem, and the surrounding area by 1630, and they brought with them strong anti-Catholic sentiment. They objected to the perceived corruption and ostentatious pageantry of the Catholic Church back in Europe, and they especially distrusted any hint of allegiance to the Pope. 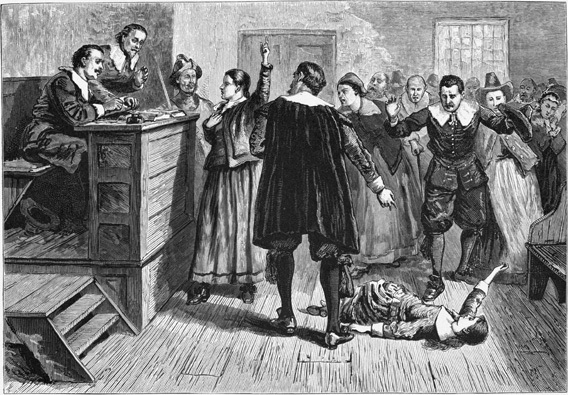 This 1876 illustration depicts the infamous Salem Witch Trials. Anne Glover was the last person to be hanged in Boston as a witch in 1688. This 1876 illustration depicts the infamous Salem Witch Trials. Ann Glover was the last person to be hanged in Boston as a witch in 1688. In 1647, a law was passed banning any Catholic priests from practicing in the colony on pain of death. While no priests were ever put to death under this law, prejudice was strong, especially towards lower class Irish Catholics in the community. One Irish woman, Ann Glover, was hanged as a witch in Boston in 1688; records suggest that she was targeted because she could only speak Irish Gaelic and Latin, and would not renounce her Catholic faith. The American Revolution marked a gradual shift in attitudes, spurred by political necessity. As the colonies attempted to unite and overthrow British rule, support from France and French Canada became crucial, and open disdain for Catholicism among the people threatened to disrupt these alliances. At the time, however, anti-papist traditions were in full swing. Boston celebrated an annual event known as Pope Night, an offshoot of England's Guy Fawkes Day, during which mobs swarmed the streets and a Pope effigy was burned on Boston Common. In 1775, George Washington himself put a stop to these proceedings, feeling that such a display would insult those whose aid he was courting. The tradition carried on for two years after, but ultimately ended when France's aid in the Revolutionary War proved essential. After the war, while anti-Catholic prejudice was far from over, its vehemence tapered off. The Massachusetts constitution was amended to allow Catholics to practice their faith in 1780. With this, the door to truly establishing the Catholic Church in Massachusetts was opened. Drag along the timeline to see the parish growth in Greater Boston from the earliest records through 1900. Zoom in on the map and click each gold pointer to see more about individual parishes. Explore the slideshow to see more detail about key moments in the history of the Boston Catholic community. The Massachusetts constitution legalizes Catholicism in 1780. A parish of French and Irish Catholics begin worshipping in a small brick French Protestant meeting house located on the south side of School Street in Boston. It’s there that the first public mass is celebrated in 1788. 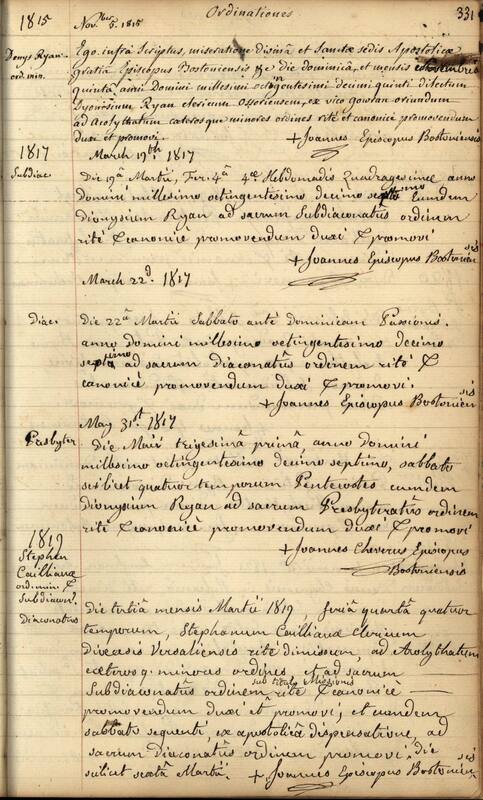 These early sacramental records include the first official Catholic baptisms in Boston, in this case presided over by the French priest Florent Bouchard de la Poterie, who will later be deposed for "unworthy conduct." Catholics remain scattered across eastern Massachusetts. A report made to Bishop Carroll during this time states that there are only 210 Catholics in Boston, 15 in Plymouth, 21 in Newburyport, and 3 in Salem. An epidemic of yellow fever strikes Boston (along with New York City and Philadelphia) hard in the summer of 1798, killing thousands. Fathers Cheverus and Matignon tirelessly care for the sick, earning praise and respect from Protestants and Catholics alike. Planning for the construction of the Holy Cross Church begins in 1799. Leading Protestant public figures and families, including John Adams, donate generously to the construction of Boston’s first Catholic Church, which is planned by celebrated architect Charles Bulfinch, who designed Boston’s State House and Washington DC’s capitol. The Holy Cross Church is dedicated on September 29, 1803 by Bishop Carroll, who has traveled from Baltimore for the occasion. Bishop Carroll’s visit invigorates the local Catholic community and by 1805, the congregation has grown to 500. 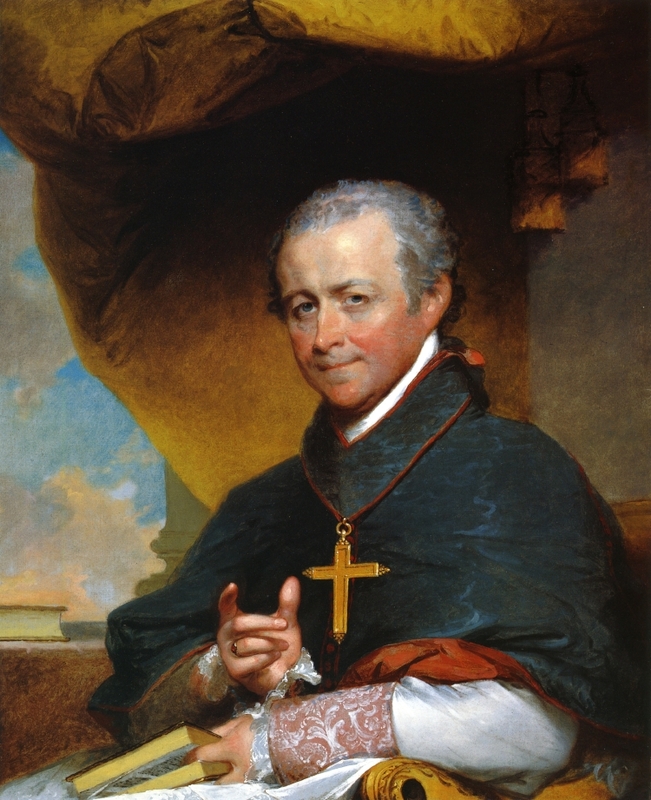 Father Cheverus is appointed Bishop of Boston in 1808, and the Diocese of Boston is officially established. 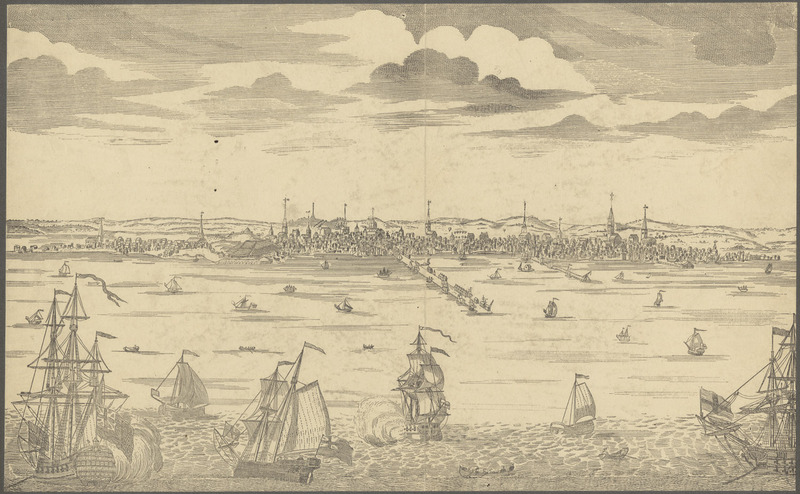 In the 1810s, the city of Boston grows alongside the rest of the young country as New World trading and manufacturing companies launch to great success. Nationally, this decade sees the creation of the stars and stripes insignia and the writing of "The Star Spangled Banner." Locally, the population of Boston booms to around 40,000, a workforce that would prove crucial for the infancy of the American Industrial Revolution along its waterways. Having committed the engineering details of English and Scottish power looms to memory in secret, a young Francis Cabot Lowell returns to Massachusetts in 1812 and founds The Boston Manufacturing Company. For a detailed look at the relationship between the textile industry and the growth of the Catholic Church, see our section on "Faith and Industry in Lowell." 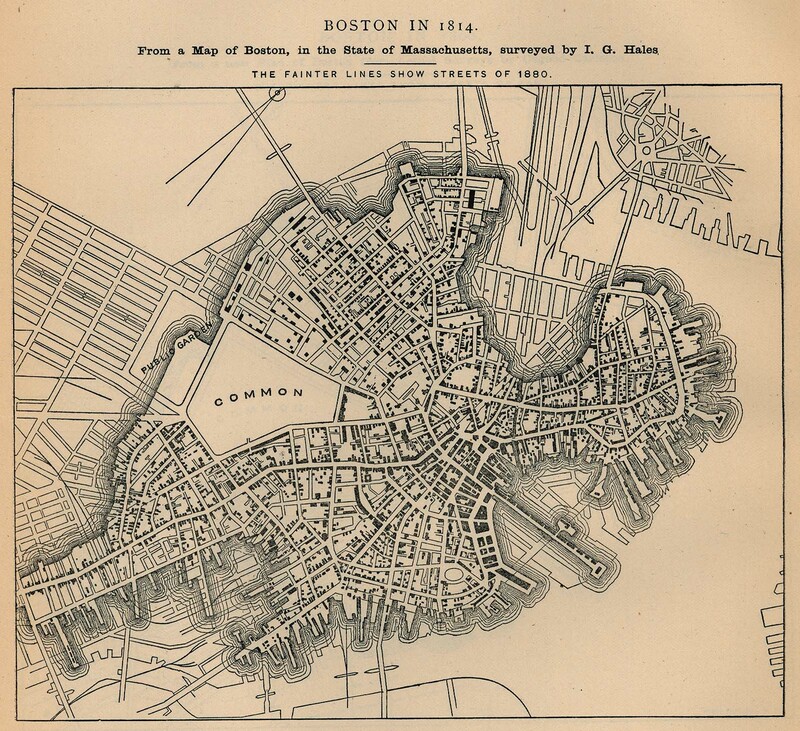 In 1822, Boston changes its status from town to city. Infrastructure improvement projects begin in earnest. 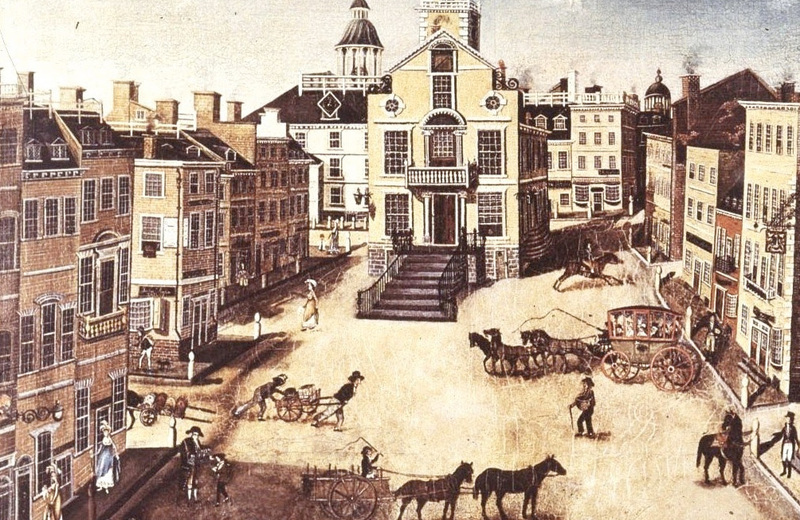 Roads and sewers are rebuilt, and the city’s docks are organized into a vital business hub around Faneuil Hall, which is expanded in 1826 to include Quincy Market, designed in the highly popular Greek Revival architectural style. More Catholic churches spring up in nearby towns, including Immaculate Conception (1826) in Salem, Saint Mary (1828) in Charlestown, and Saint Patrick (1831) in Lowell. A steady number of Catholic immigrants settling in and around Boston results in new churches in Roxbury, Waltham, and Quincy. While Irish priests try their best to minister to all Catholics, newly arrived immigrants from other countries – including Germany -- prefer to practice their faith in their own language. Bishop Benedict Joseph Fenwick requests German priests, and several arrive in Boston, but most choose to move on to the Midwest where they can serve larger German Catholic parishes. Ireland’s potato famine, which begins in 1845, drives tens of thousands of working-class Irish to Boston’s shores. During this decade, the city’s population balloons from 93,000 to 136,000, a trend that will continue into the next century. More Catholic churches are built to accommodate the new arrivals, expanding into Norfolk and Plymouth counties on the South Shore, starting with Quincy’s St. Mary in 1840 and Bridgewater’s St. Thomas Aquinas in 1848. As more Catholics pour into Boston, their presence expands to the North Shore. Twenty new churches are established during this decade in the city and surrounding towns in eastern Massachusetts, from Marblehead to Foxboro. While expansion of the church continues outward from the Boston area, with parishes founded as far north as Amesbury, the Greater Boston Catholic community grows as well. 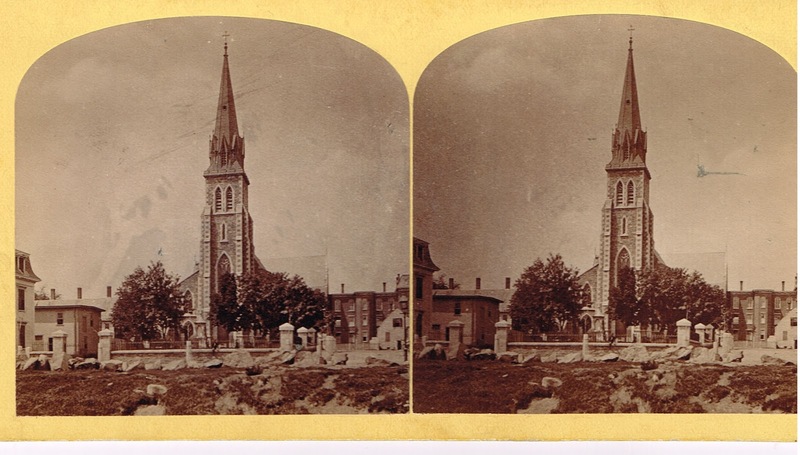 In the 1860s, the original Holy Cross Cathedral is demolished to make way for its much larger successor in the South End. Additionally, Massachusetts plays a significant role in the American Civil War as a long time center of abolitionist thought and activism. The choice by many Catholic immigrants to take up the Union cause had the lasting effect of softening anti-Catholic prejudice in the North. In 1871, after decades of conflict, the Kingdom of Italy consolidated the city-states along the Italian peninsula into a single nation. Facing new economic difficulties under the regime, and encouraged by the call for laborers in America following the death tolls of the Civil War, many Italians made their way to the United States. Despite regional differences, in Boston, Italian immigrants famously settled together in the North End neighborhood. Saint Leonard Church of Port Maurice, founded there in 1873 to serve this growing population, was the first Italian Catholic parish in the country as well as the city. In addition, the new, much larger Holy Cross Cathedral opens in the South End. 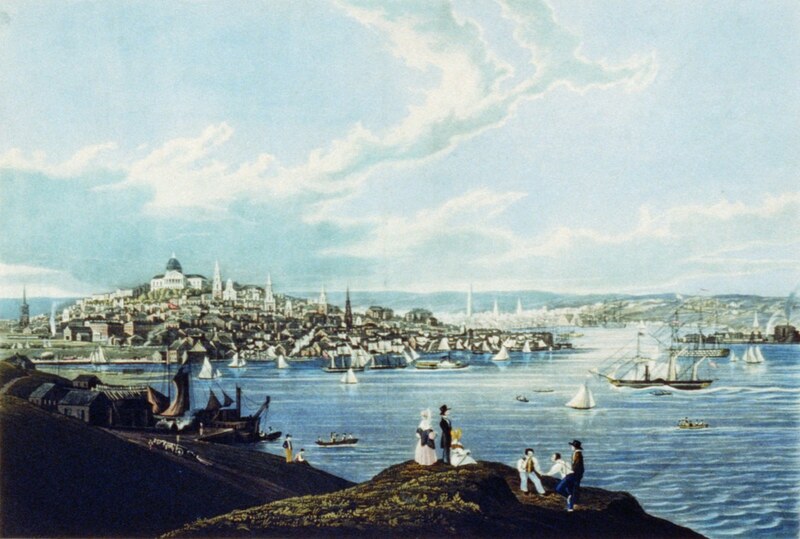 While Portuguese Jews had come to New England since the 18th century to escape persecution, Portuguese Catholics from the mainland as well as the Azores and Cape Verde islands arrived to the region’s coastal cities in large number near the end of the 19th century. While some worked in the booming textile mills or other industries, many brought their skills in whaling and fishing. Our Lady of Good Voyage, founded in 1889 in the port town of Gloucester on the North Shore, was the area’s first Portuguese parish. Its name evokes the significance that both work and faith played in the fraternity of Portuguese-American Catholics. 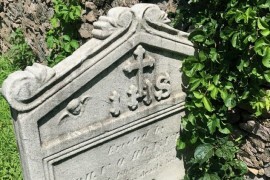 Much like the Irish, Lithuanian Catholics arrived in the United States in high numbers following a great famine and political turmoil at home. Since Lithunia did not yet exist as a country, many Lithuanians were recorded in immigration documents as being Russian or Polish, but national and cultural identity was strong among the immigrant community. 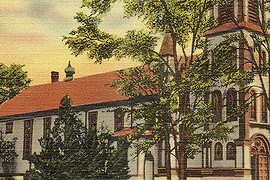 Saint Rocco, later Saint Casimir, was the first Lithuanian Catholic parish in Greater Boston, founded in 1898 in Brockton. By the end of the 18th century, Catholics of various ethnicities were spread widely around New England, but there were very few priests and no centralized church to lead them. 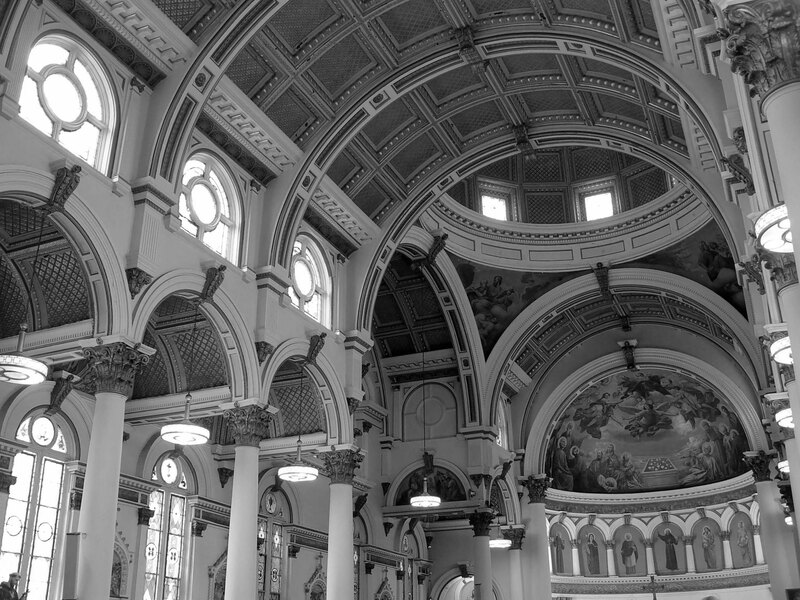 At this time the only American diocese was in Baltimore—it encompassed the entire eastern seaboard, including the cities of New York, Philadelphia, and Boston. French Catholics decided to organize further leadership locally. The original Holy Cross Church on Franklin Street in Boston. Father Francis Anthony Matignon was a refugee of France's own Revolution, but when he came to New England in 1792, he became an essential figure in Boston's Catholic community. His work in Boston was that of a missionary. He was sent there at the request of Baltimore's Bishop Carroll, in the hopes that his influence could help settle cultural differences between Boston's Catholics and create a unified congregation. Joined by Father John Cheverus, Matignon held religious services for the community in a former French Huguenot church on School Street. Then, in 1803, he oversaw the completion of the first Holy Cross Church, which was funded in large part by donations from non-Catholic Bostonians, including U.S. President John Adams. In 1808, the Holy Cross Church was elevated to the rank of Cathedral when the Diocese of Boston was founded with Cheverus as its Bishop. The community was still relatively small at this time, but soon other churches began to pop up. Irish ancestry? 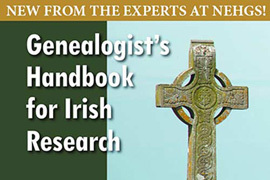 Learn more about Irish genealogy at AmericanAncesters.org. Irish ancestry? 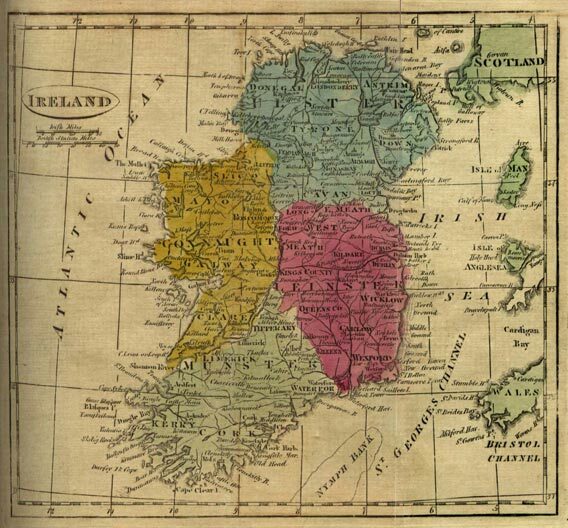 Learn more about Irish genealogy. Matignon and Cheverus laid the stage for Boston's Catholics, but new waves of immigration to Boston in the 19th century would come to define the community as we know it today. Famine and poverty hit Ireland hard in the first half of the century, most notably during the Great Irish Famine of 1845-52, pushing more than a million working-class Irish to seek better lives across the Atlantic. 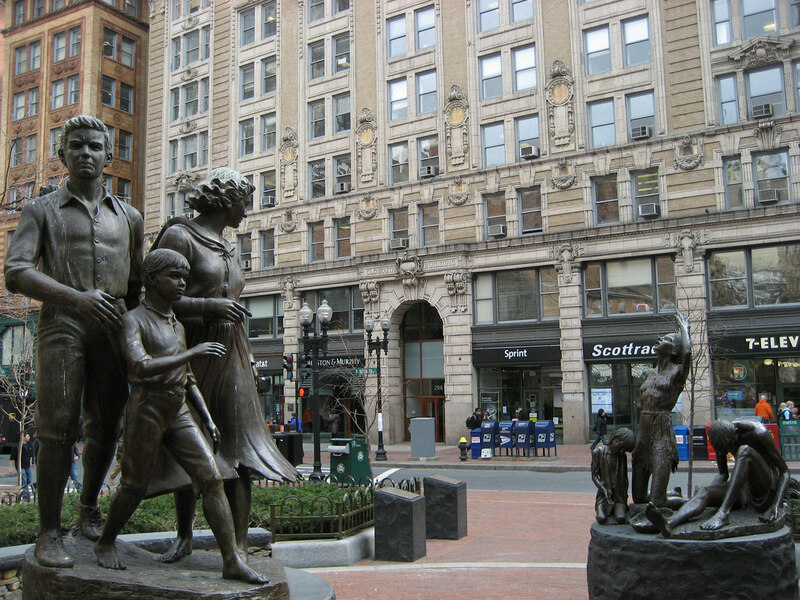 By the 1850s, the Irish were Boston's largest ethnic group. Catholics from other European countries followed during this time as well, most notably the Italians who established a community in Boston's North End. As Boston's Catholic population grew, so did the prominence and power of the church, but prejudice still ran deep in the city. Over time, anti-Catholic sentiment evolved further away from its roots in the Protestant Reformation, and came to serve more and more as an excuse for xenophobia and classism. For example, during the worldwide cholera epidemic of the early 19th century, disease spread via contaminated water in densely populated areas; in Boston, non-Catholics blamed the Irish Catholic community for the sickness. Fights and riots broke out in the streets between immigrant groups and the English-descended elite. The historically Puritan society distrusted the pageantry of Catholic religious practice, especially when it came to the loud music and keening of Irish funeral processions. But as time went on and ethnic diversity increased, it became difficult to deny the Catholic Church's place in the fabric of Boston. 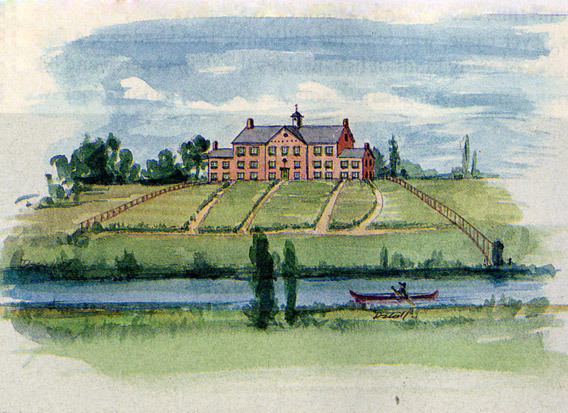 A painting of the convent buildings and grounds as they appeared before their destruction. Image courtesy of the Medford Historical Society. 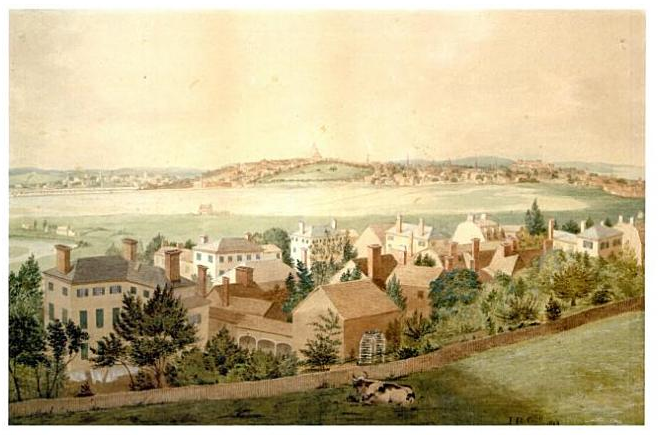 Late on the night of August 11th, 1834, an estimated fifty to a hundred men on a supposed rescue mission stormed the grounds of the Ursuline Convent in Charlestown, Massachusetts, now part of modern-day Somerville. The mob had been riled by rumors that a "mysterious woman" was being held captive by the nuns after one of the Sisters visited with a Protestant family and expressed doubts about her religious committment that she later retracted. In the riots that ensued, the mob set fires, broke down doors and windows, and ransacked the building. The firemen called to the scene joined with spectators instead of intervening. The following night, on August 12th, a crowd returned and further destroyed the orchards, gardens, and fences. 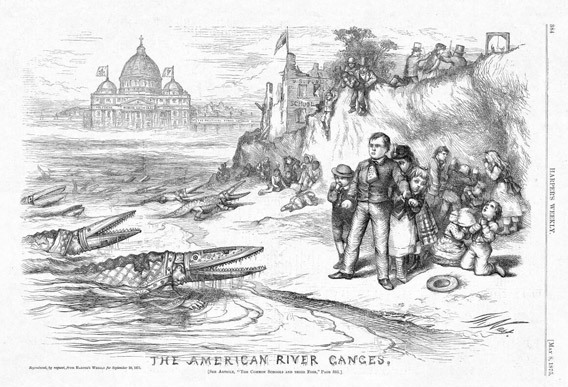 A Harper's Weekly political cartoon from the 1800s shows crocodiles dressed as Catholic clergy threatening American school children. Anti-Catholic sentiments ran high in early New England, even after practice of the faith was made legal in the 1780s. Rumors that the Ursuline Convent, which also housed a school for girls, were holding residents against their will were fueled by a convergence of prejudice and paranoia. Old pains from Reformation-era Europe carried over into colonial fears that the Pope would influence American politics. 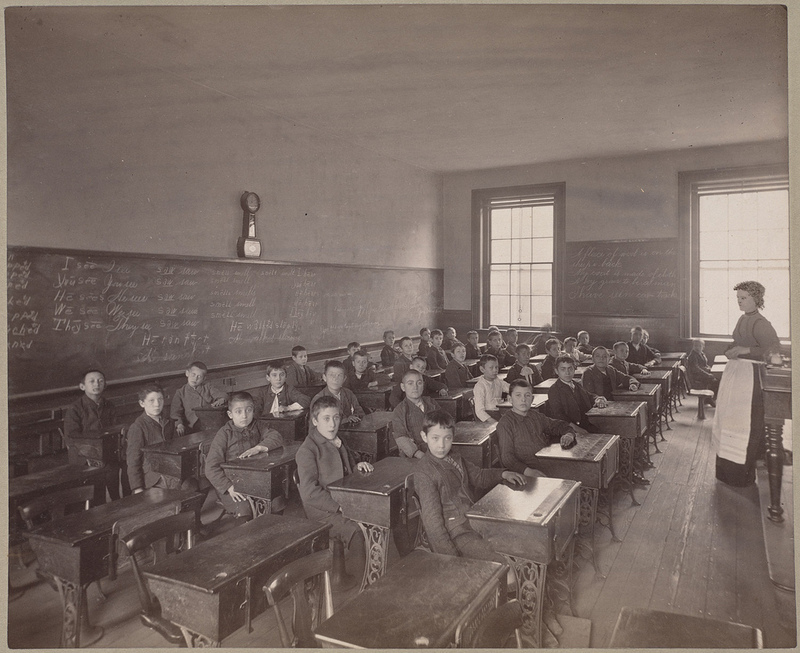 Most of the students at the school were from wealthy Protestant families, and the working-class Protestant rioters feared what they saw as a conspiracy between their economic and religious antagonists. 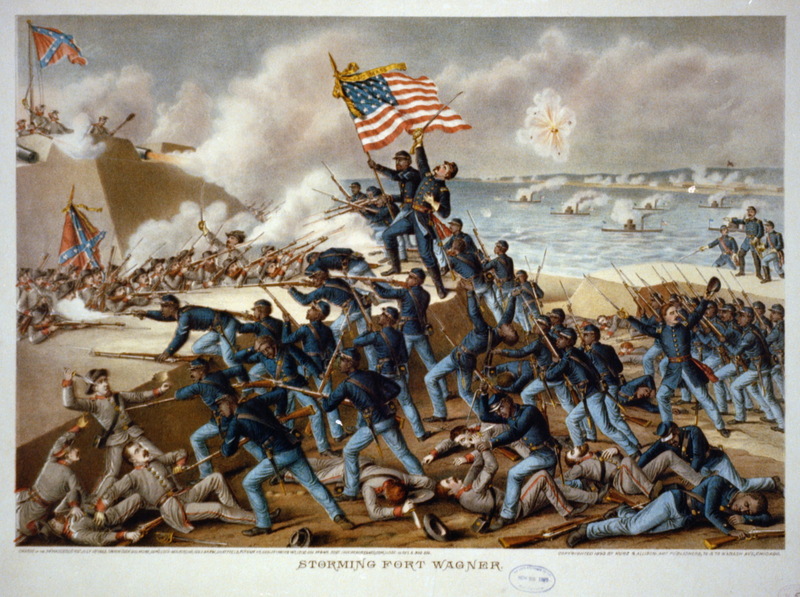 Xenophobia was also a factor, as many Catholic immigrants to the United States came from different national and ethnic backgrounds than the Anglo-Saxon settlers. 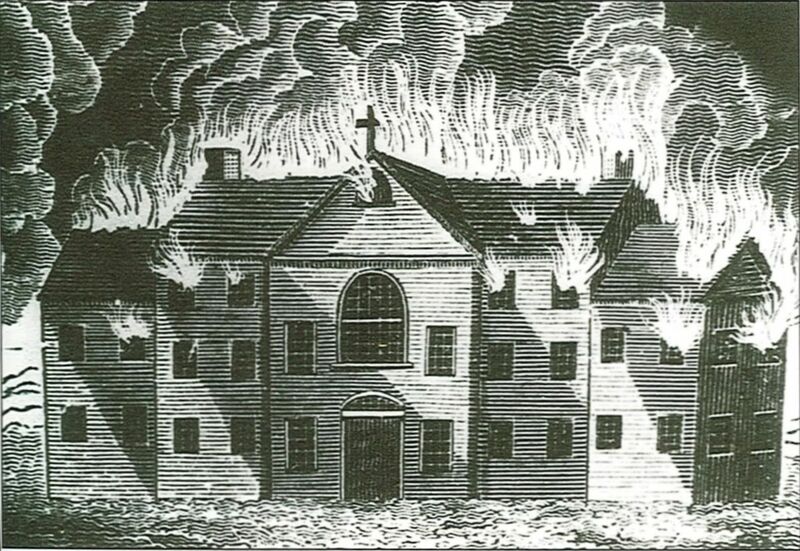 A depiction of the convent in flames during the riots. 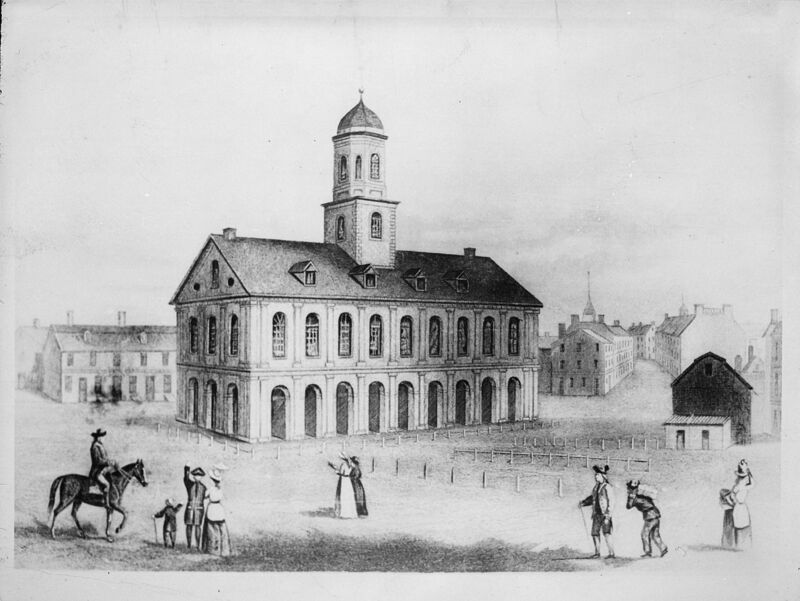 The city of Boston officially condemned the actions of the rioters at the Ursuline Convents, although of the thirteen men arrested, all were acquitted except one who was later pardoned. Most of the nuns dispersed to Quebec. 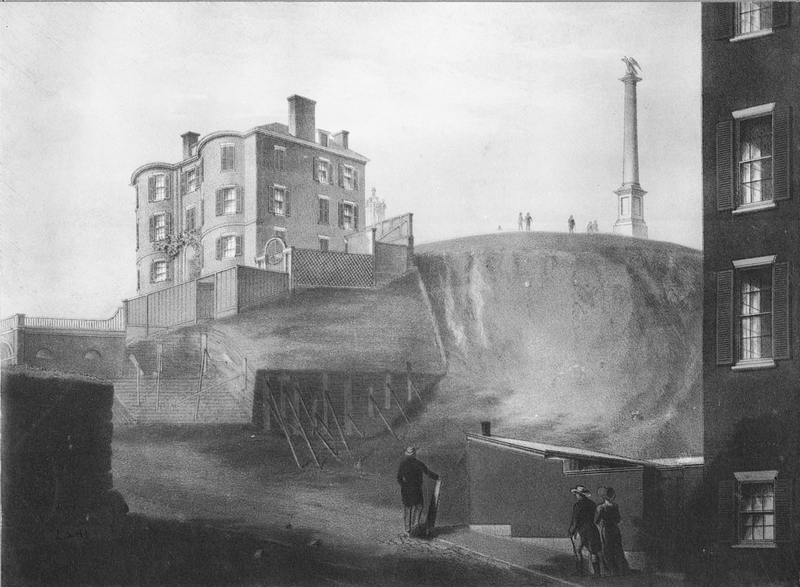 Without insurance or sufficient remittance to rebuild, the ruins sat unchanged for fifty years afterwards, in stark contrast to the nearby Bunker Hill Monument built in the 1840s. The land was eventually leveled and developed for housing, but a few stones from the ruins were repurposed for a vestibule archway in Boston's Cathedral of the Holy Cross. As the population of the Catholic community increased, the need for more and more churches to serve the city and surrounding suburbs grew. 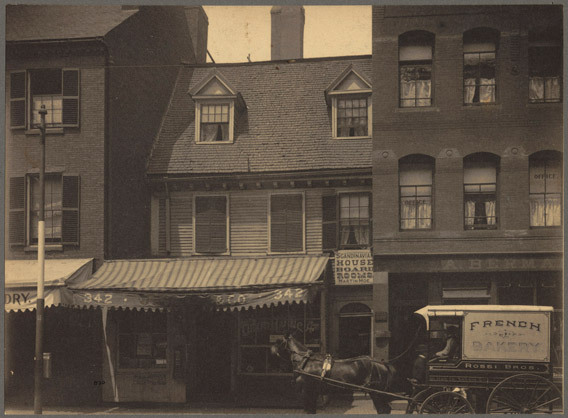 Boston's North End neighborhood in the 1800s. Boston's sharply divided ethnic neighborhoods fueled divisions in the Catholic community. In the 19th century, the Catholic Church in America was perceived by many outside of it as being an Irish church, but by 1830, a sizeable population of German Catholics in Boston wanted priests who understood their customs and spoke their language. 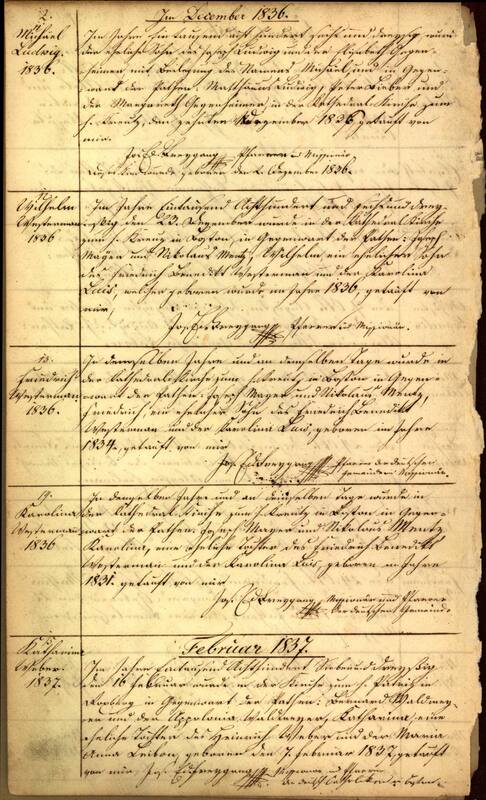 Beginning in 1836, German-speaking priests were recruited to the area and they started to keep separate sacramental records for this local group of German Catholics. This group formed the Holy Trinity parish in 1836, eventually raising funds to build Holy Trinity Church in the South End in 1840. Many other ethnic groups throughout Massachusetts also established parishes to meet their specific needs, culturally and geographically. Prominent examples include the Italian Saint Leonard of Port Maurice in the North End, the Polish Our Lady of Czestochowa Church in South Boston, and French-Canadian parishes like Saint Joseph (later Saint Jean Baptiste) in Lowell. A 1930s postcard of St. Mary's in Ayer, Massachusetts, shows how iconic Catholic churches came to be in the region. 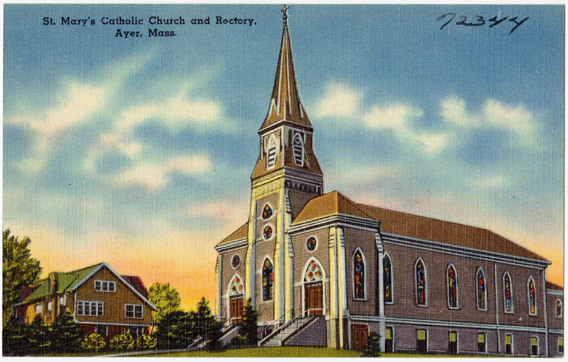 A 1930s postcard St. Mary's in Ayer, MA shows how iconic Catholic churches came to be in the region. Eventually, particularly in small towns where there was often just one church, geography trumped ethnicity, and a mix of ethnic groups could be found in many parishes. Some urban parishes, such as St. Paul's Church in Cambridge's Harvard Square, reflected a greater (and more tolerant) diversity than Boston. Alongside Irish Catholics, a community of African-Canadian Catholics descended from slaves in Halifax, Nova Scotia, immigrated to the area and attended St. Paul’s. There are even records that interracial marriages were performed within this parish through 1880. Many Portuguese Catholics, too, were of African ancestry or multiple ethnicities, arriving from the island colonies of Cape Verde and the Azores. The church came to play an essential role in Catholic life. For working class individuals, work often involved dispersal: whether factories and lumber yards, or as servants in wealthy Protestant homes. Because of this, church services on Sundays became the place for neighbors to come together, and for young people to find spouses. 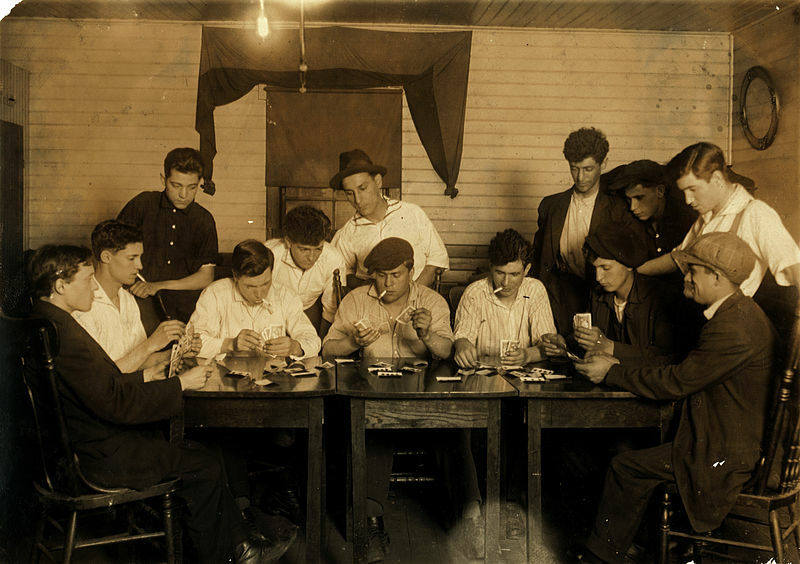 The late 19th century saw an increase in young men's and women's programs at churches, designed to centralize social life within the Catholic community. An 1850 detail of a map by Sidney and Neff featuring the Lowell Company Mills. 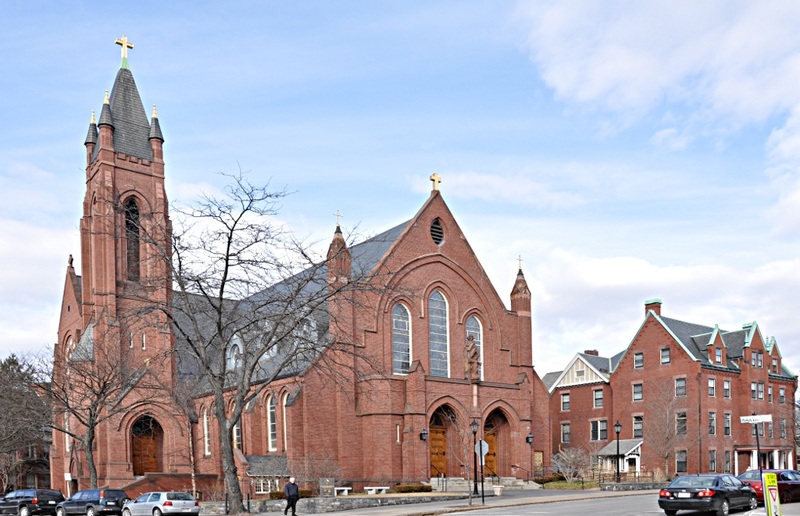 Lowell, Massachusetts, and the surrounding cities and towns in the Merrimack Valley in northern Massachusetts played an important a role in the growth of the Catholic community. Considered the "cradle of the American Industrial Revolution," Lowell is named after the textile merchant who brought power looms to the area in the 1820s. The construction of dams to harness the Merrimack River's energy and the proliferation of manufacturing in the area coincided with early waves of immigrant groups seeking work, mostly French Canadian, Irish, and German Catholics. The majority of the textile workforce in particular were women and young girls. 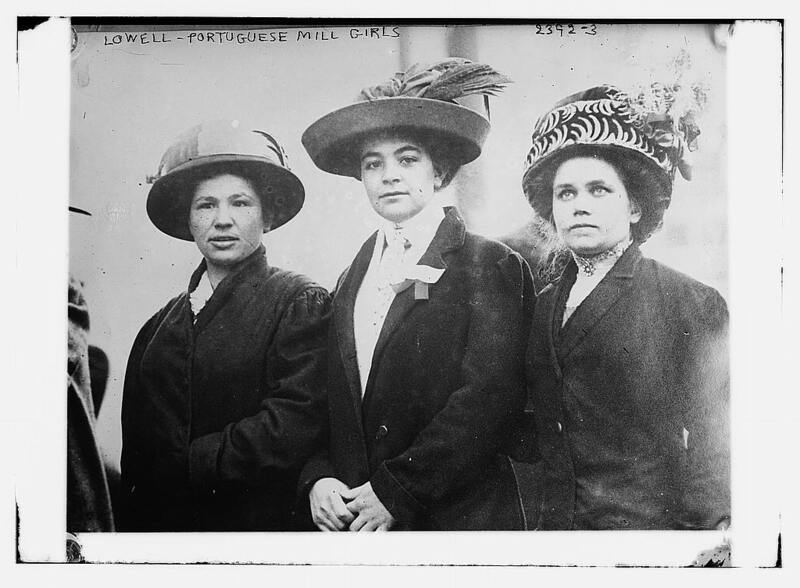 Three Portuguese mill workers in Lowell, circa 1910-1915. The majority of the textile workforce were women and girls. As industry grew, the organization of society changed, too. Densely-populated ethnic neighborhoods replaced company-owned boarding houses, and churches became the hearts of their communities for politics and recreation as much as worship. 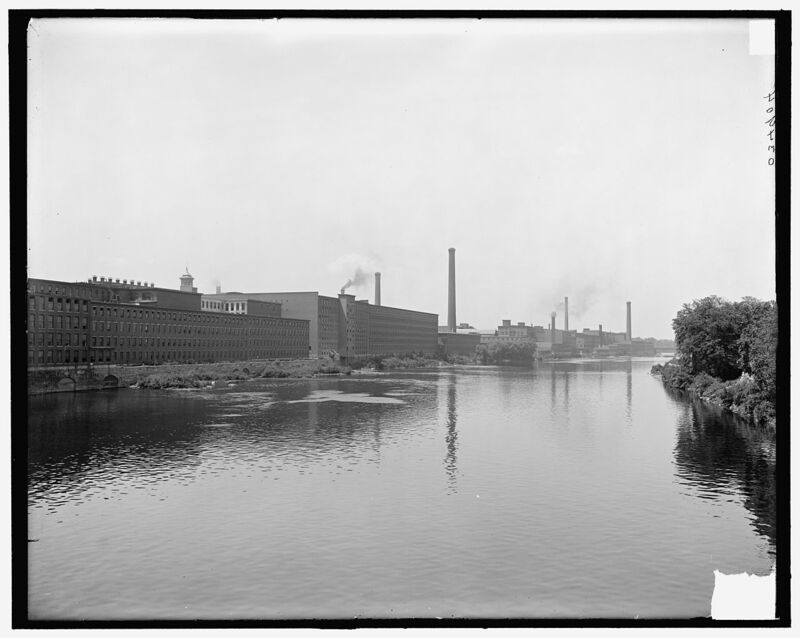 A view of the factories along the Merrimack River, around 1900. The number of parishes increased dramatically as immigrants came to work in the Lowell mills. After the Civil War, with the expansion of the Merrimack Valley mills and the growth in immigrant worker populations, the number of Catholic parishes tripled in both Lowell and Lawrence, including French-speaking parishes to meet the needs of French-Canadian immigrants. Catholics had struggled for the right to practice their religion and won. Now, alongside other laboring immigrant and minority groups, they fought for fair pay, overtime, and educational opportunities. In this way, the effort for religious acceptance by a once-outlawed demographic was inextricably linked with the origins of a national movement towards organized labor. In 2010, the Religion Census reported that 45 percent of Massachusetts residents self-identify as Catholic—a massive presence for a religion whose practice was constitutionally illegal just three hundred years ago. Today, Boston is known as an iconic Catholic city. The Boston Catholic newspaper, The Pilot. In 1828, after Bishop Cheverus stepped down from his position, Bishop Benedict Joseph Fenwick became the first non-French leader of the Boston diocese. As a missionary and a cultural outsider, Cheverus had been focused on propagation and conversion; Fenwick instead worked on uniting the existing Catholic community and smoothing over relations with Boston as a whole. 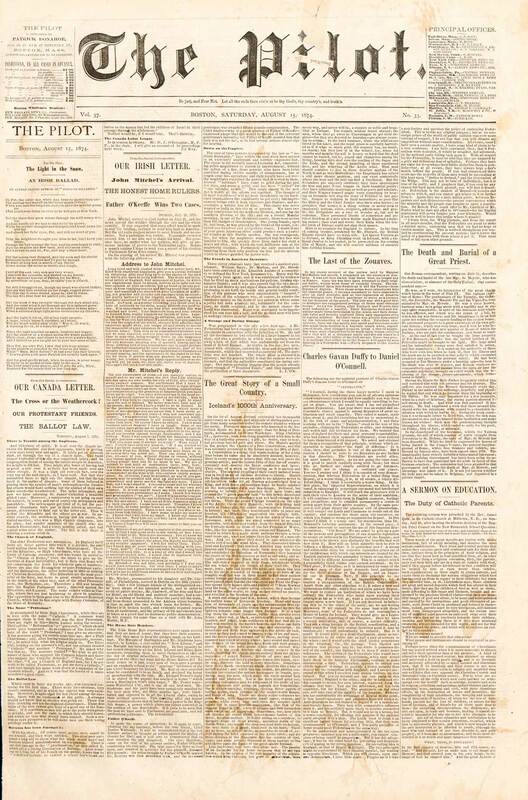 In 1829 he founded a Catholic newspaper which still exists today, now known as The Pilot. He also published a number of pamphlets explaining the true nature of Catholicism to the public. In addition, Fenwick opened Boston College, which began its life as a series of lectures in the basement of his cathedral; later, he opened a Jesuit school in Worcester called the College of the Holy Cross. He worked hard to deal with riots spurred by anti-Catholic sentiment, to create positive relationships between the Church and Boston's Protestant elite, and to promote Catholic education across Massachusetts—and the institutions he created still stand today. By peering into the records of our past, from the very first parish on, we paint a picture of a quintessentially American city. We see a microcosm of diverse cultures, and we can trace the threads of these cultures across time. We can see how the threads knit together, and how they clash against each other. We can understand the complex social fabric we live within today. 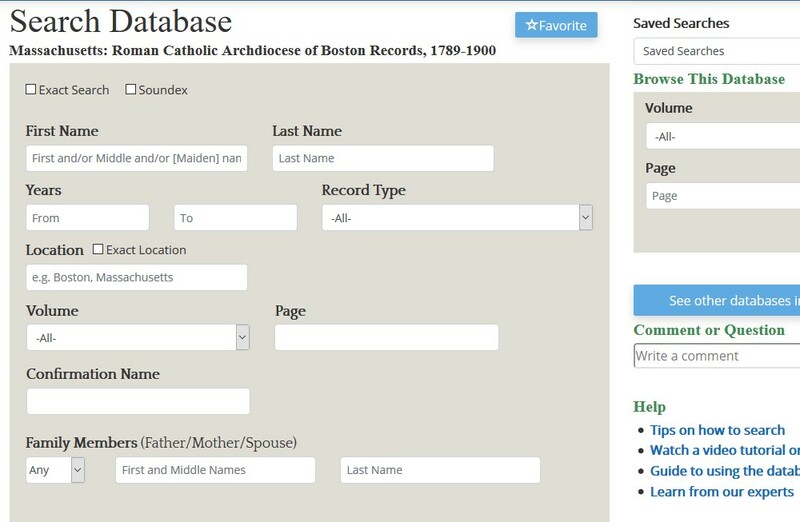 Images of Boston's oldest parish records, including those from Holy Cross Cathedral and Holy Trinity, are available immediately to browse, which means you can view the records online but can't yet search records by name (searchable records will be available at a later date). However, if you know the parish and rough years of the name you are looking for, you may be able to find it using our index. Locating records in this unique collection varies slightly from volume to volume and parish to parish. The “Index” at the beginning of each volume can help a researcher know where to start to find a name in the volume. Additional parishes will be made available as we complete them. 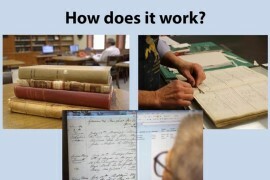 Please watch this short video to learn how to browse parish records on our website. 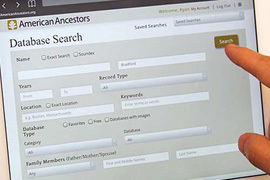 Please note that to browse records, a FREE Guest Member sign up on AmericanAncestors.org is required. 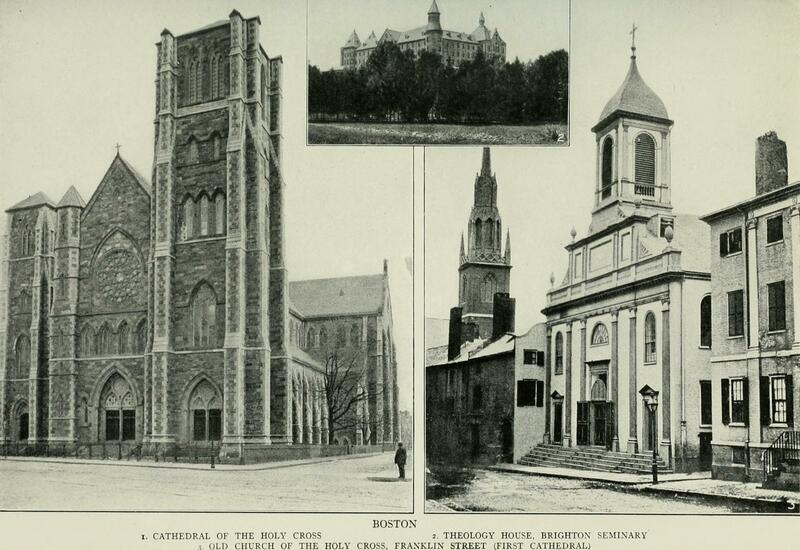 Archdiocese of Boston, One hundred years of progress: a graphic, historical, and pictorial account of the Catholic Church of New England, 1895. Lord, Robert H. History of the Archdiocese of Boston in the Various Stages of Its Development, 1604 to 1943, 1944. Truxes, Thomas M. Irish-American Trade, 1660-1783, 2004. United States Catholic Historical Society, Historical Records and Studies, Volume 17, 1926. "History of the Archdiocese of Boston," BostonCatholic.org. "St. Patrick Church History," AllSaintsMaine.com. Prioli, Carmine A. American Heritage Magazine, "The Ursuline Outrage," 1982. Tager, Jack. Boston Riots: Three Centuries of Social Violence, 2000. Dublin, Thomas. "Immigrant Lowell," Lowell: The Story of an Industrial City, 1992. Eno, Arthur. Cotton Was King: a History of Lowell, Massachusetts, 1976. O’Connor, Thomas H. Boston Catholics: A History of the Church and Its People, 1998. Robinson, Harriet. 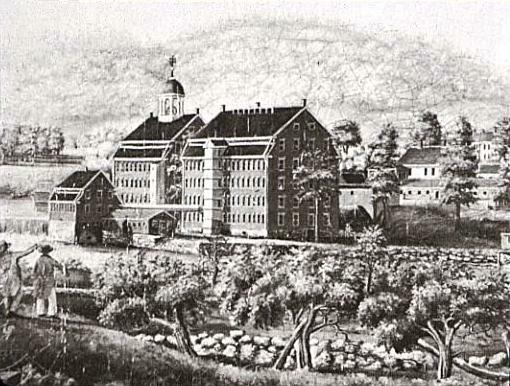 "Early Factory Labor in New England," Internet History Sourcebooks Project.